The effect of stigma on an individual’s acceptance of a diagnosis is something I find extremely important. As I noted in my last mental health Friday post, my first diagnosis came at the age of five. At first glance, one might find it easy to stand in judgment of a mother that turns away the opinion of an expert. 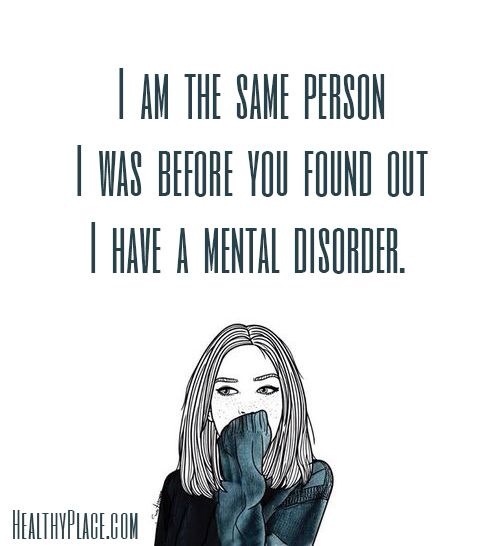 However, in my case, I was most likely one of the first children diagnosed with Early Onset Bipolar Disorder and at that time (1974), the term Manic Depressive was still prevalent. I can only try to imagine what the “label” would mean to my mother at that time. Something to the effect of her daughter being crazy, stupid, and/or dangerous. To look at her daughter, she knew those things were not true, but had she had a realistic view of what the disorder meant, she may not have so hurriedly pushed it aside. I just recently read an article on Jezebel titled “A Toast to All the Brave Kids Who Broke Up with Their Toxic Moms” which really hit home for me. I know this isn’t like my typical happy, upbeat posts; but it’s something I’ve dealt with since I can remember and I know I’m not alone. I love my Mother to the end of this Earth, that will never change. But it’s hard to love someone who doesn’t love themselves. Growing up, my sisters and I have had to deal with what the article referred to as a “broken woman”. Many terrible things have happened to my Mother, which I won’t go into detail about. But the most impactful was the loss of my brother when he was 2 (in ’89). I hadn’t been born yet, in fact my mother hadn’t even met my Father yet (my two sisters and brother have a different Father). I’ve always wished I was alive to meet my brother, but at the same time I’m not sure how I would have handled his death. My Mom’s addiction developed shortly after. In the late 90’s, she started attending a methadone clinic to attempt getting off the drugs she was abusing. If you’re not familiar with methadone, it’s a medication usually used to relieve severe pain. But it’s also used to prevent withdrawal symptoms in people who are addicted to opiates. Little did everyone know that this would be a new addiction in itself. Obviously I was never told anything about this when I was younger, but I remember being able to notice some of the side effects of the methadone. The most noticeable being extreme drowsiness. I can remember around the ages of 7-10 I would go to her house every Friday to stay for the weekend. I’d be sitting with her at the kitchen table trying to tell her all the things I did in school that day and she’d be hunched over, passed out. I didn’t think too much of it as a child, I just thought “Oh, Mommy’s really tired”. However, I did think it was strange that she would start to fall asleep immediately after I would shake her and wake her up. It got progressively worse as I got older. When I was around 12, my grandfather passed away (my Mother’s Father). We all loved him very much, but my Mother especially. She fell into an even deeper depression after this and along with being extremely tired from the methadone, she never got out of bed, she was barely eating, and just didn’t take care of herself in general. I have limited memories of actually doing things and spending quality time with her. Instead, I watched her wither away from being a beautiful, energetic woman to a lifeless shell of that woman. I was always so envious of other girls my age growing up who had good relationships with their Mothers. In my early teens, I sort of resented her for choosing a life of drugs over the possible relationships she could have had with her three girls. 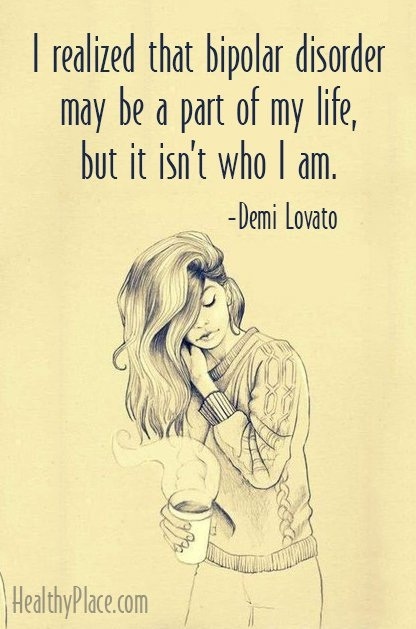 As an adult now, I just had to accept that she is so lost in her own depression and addiction, that she doesn’t even realize what she’s sacrificed. Those childhood years are something that we won’t get back, and neither will she. I don’t hate her, I don’t think I ever could. I’m just disappointed in a way. Anyone who has a family member or friend who is an addict, I can relate. You want to help them so badly to create a better life for themselves. You want them to realize that drugs aren’t an acceptable coping mechanism for their problems, that there are other options. But like I said before, you can’t help someone that doesn’t want to be helped. They have to want it for themselves. You can’t sacrifice your own happiness and wear yourself down in hopes of “fixing” them. As painful as it is, you have to let it be if they are not willing to change. All you can do is create a better future for yourself. I know I have the power to be the Mother that mine wasn’t, for my own children in the future. This week’s story was sent in by Amber who blogs at What Makes Me Amber.wordpress.com where she blogs about health, wellness, (yummy) recipes and Life in general. If you’d love to contribute and share your story on Mental health Friday, I’ld love to have you. Let’s join hands to talk about Mental illness and blur out the stigma associated with it. You can contact me on My email address: mykahani@yahoo.com . For more information, visit this post. I was first diagnosed with Early Onset Bipolar Disorder when I was five years old. At that time, my mother did not accept the diagnosis and moved forward with no help. At the age of 23, after I had my first child, I was diagnosed again. I did not accept my diagnosis at that time. At the age of 31, I was once again diagnosed with Bipolar Disorder, ADHD and PTSD. I accepted my diagnosis’ and went for treatment. 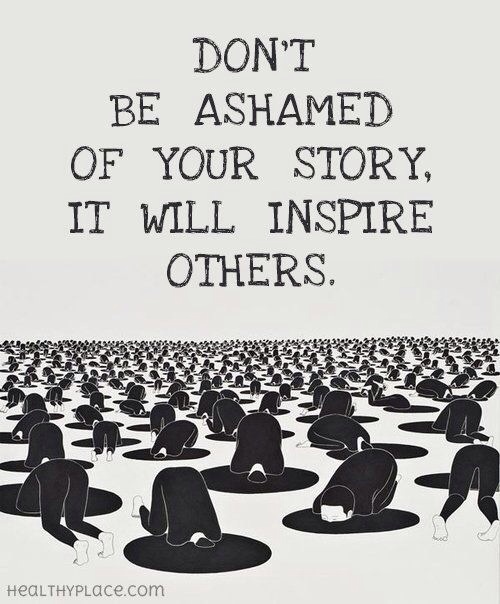 Through my life, there have been great losses and broken relationships due to the stigma of mental illness. It amazes me when I come to realize how destructive ignorance can be. I wish the people in my life had been educated at least enough to know that mental illness, like any physical illness, is not a choice. It is not a moral issue. It has absolutely nothing to do with values and integrity. 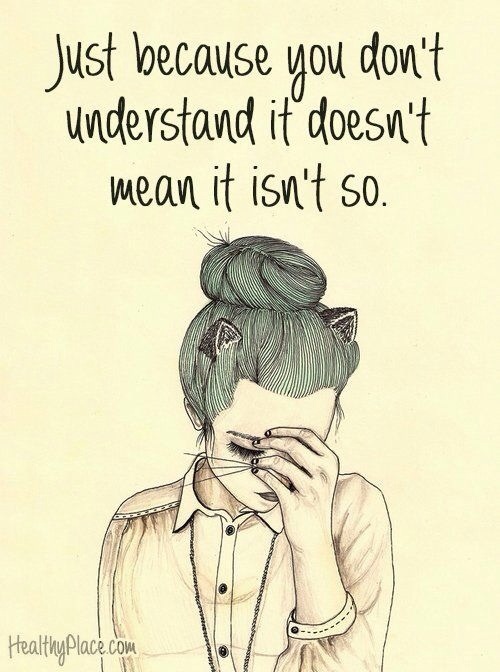 Mental illness does not mean less than. There is so much brilliance hidden in people who are disregarded because of a diagnosis. So much courage, fortitude, loyalty and love. The creativity is endless. Just like anyone else, we are leaders, followers, teachers, friends, sisters and brothers, sons and daughters. We are parents who love our children and children who love our parents. We are human beings. Have you ever felt like you were at the end of your rope? You just couldn’t take it anymore. You didn’t want to talk to anyone, be around anyone, and even form your brain to think about anyone. All you could think about was the extreme feelings of sadness you felt about yourself and your life. You experienced something that brought you down soooo low, you never thought you would be able to come out of it. Two years ago that was me. With the death of my mother and the ending of my long term relationship; those thoughts ran through my mind every day and night. The moment when I realized that I believed that “little voice in my head”, is when I knew something was wrong with me. It wasn’t until one horrible day that I was forced to do something about it. The devil saw fit to ease his way in my thoughts and it went downhill from there. As I walked down Alcoa Road one Friday evening, I began to have thoughts that I’ve never had before. I was tired. Tired of crying, tired of hurting, tired of feeling alone. I started really thinking about the most painless way to end this all. Again, I. Was. Tired. My life was no longer important to me and I began to speak so much negativity over myself while devising a plan in my head. In the middle of all of that, I recieved a phone call from one of my sorority sisters. After ignoring the phone call 3 times I finally answered. When the psychiatrist first told me I had paranoid schizophrenia, she started it off with, “I have some bad news.” I have heard my diagnosis described as, “Every parent’s worst nightmare” and many other almost fatalistic phrases. How are you supposed to feel about yourself when people describe something that is so much a part of you as awful, terrible, tragic, or sad? Living with paranoid schizophrenia is not for the weak, but it isn’t the worst thing in the world either. Those of us with a mental illness know that suicide is the worst thing, because in the case of suicide everyone loses and the illness is the victor. Suicide should be every parent’s worst nightmare, not schizophrenia. Unlike suicide, there is hope with schizophrenia. I have symptoms every day, but I live a good life. I worked most of my adult life as a social worker, a library assistant, and a marketing director. I am happily married to the love of my life, and I am currently enrolled in a certificate program for writing at UCLA. I am an aunt to some wonderful young women and men. I am a sister to all five of my brothers. I am an only daughter to my parents, and I am a niece, cousin, and friend to many people. Does that sound like “a parent’s worst nightmare?” No, it doesn’t and it isn’t. The above is an excerpt from my last post here. During the next couple of months, my mind was a whirlwind. It was overwhelming to feel free and on my own. I spent a lot of time talking to my friend Kay at the sober house and talking with John. As I mentioned, he went to the thirty meetings in thirty days with me. To get a slip signed saying I was there, I had to sit through the entire meeting. One evening, we were at a meeting and I was having an extremely hard time sitting still. At break time, I was about to walk away and give it up when a man I had never met before came outside and sat with me. His name was also John and he talked to me and gave me the hope I needed to go back in. If not for this man who at the time had thirty days of sobriety, I would have walked away at that moment. I thank him for that. A few days after I had moved out, my ex-husband told me that he was going to have to cancel my health insurance, but that he would wait until I had gotten my own. I knew he was not going to wait. I made the decision to wean myself off of my meds before my ins. was cancelled. It took two months for me to do this. On Aug 29, 2012, my then husband called to tell me that my insurance would be cancelled the next day. If I had not weaned myself off of the medications, I would have ended up in the hospital. Going to my home group of A.A. became miserable for me. Some people in my group would not look at me and the ones who did insulted me. I didn’t know this at the start, but my ex-husband was telling people that I was manic and out of control. He was also telling people about my eating and sleeping issues. Every Friday, when I went to my home group, I was questioned on my weight. I had been 170 pounds, 40 pounds overweight, due to bloating from the medications and when I stopped them, the bloating had gone away and it was very noticeable. At first people told me I looked good, but one week they simply started to say I was too skinny, that I looked sick. They wanted to know if I was eating and sleeping. I do not go to A.A. meetings for eating. Does my heart have to bleed? And save them in jars? I can’t help that I cry? Depression is not a choice? Till my larynx turns hoarse? the turmoil- between heart and soul? The girl I used to be? What on earth led me to this? Well then, I don’t- need your validation. “During the Spring of 2008 my husband and I started to smoke Marijuana. We smoked a few times over a period of six months and then my husband stopped. I went on to smoke another six months before my husband realized and we then went back to the program of A.A. We originally met there when I was three weeks sober, May 25th of 1996. We had not abused alcohol or drugs since then and saw Marijuana as a relapse. The twelve steps of A.A. can be applied to more addictions than just alcohol and we both knew that. It was early May of 2009 when I walked into that first meeting of Alcoholics Anonymous. 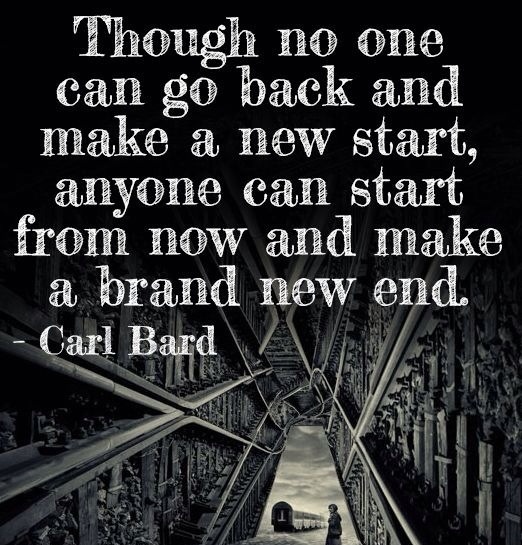 I had had a few years of sobriety prior, but this time I wanted something different- Recovery. I found a sponsor, a woman I had known as a neighbor for a few years. She was a lovely woman, but she had not done the steps through the big book of A.A. the way I wanted to. Otherwise, she helped me immensely to prepare myself. I joined more than one group and was the coffee maker at more than one as well. I went to five meetings a week in addition to commitments. A commitment is when you join with other members of your group to speak at another group. My confidence began to build and I started to become busy in other ways as well. Delivering a weekly donation to the soup kitchen on Mondays was one of my favorite additions to my life. I began to see that people outside of my home, away from my ex-husband treated me differently. The more I did outside of the house, the more separated I felt from my ex-husband, the more I began to see. In April of 2010 I celebrated my one year anniversary. I was doing well. We had a friend living in the apartment downstairs with his wife and three children. His wife and I were very close friends. We all were. Christmas with them had been wonderful and we were looking forward to summer. Shortly after I was diagnosed with Bi-Polar disorder in 2001, my life changed and I crashed. My husband at the time had been complaining quite a bit about the behavior of my son, who had also been recently diagnosed. My husband was also looking at me differently. He became quite controlling as though I were a child and everything I wanted to do became something he doubted I could do. Life went on this way for a year and a few months and then, life changed. The above is an excerpt from my last post here where I mentioned, it was July of 2003 that my husband and I bought a house. He had started his own business and our life was quiet. What you don’t know is that my husband had three sons from a previous marriage. He had signed open adoption papers before I met him and we visited with them every six months. The two oldest, twins, came into our lives on a more constant basis in 2004 after they had turned 18 that summer. I couldn’t have been happier to have them there. One evening a few months later, my husband and I sat at the kitchen table. He cried that evening as he told me how sorry he was. He said the way that I treated his sons as though they were my own made him feel terrible for the way he had acted with my son. He promised to talk to my son and to make a change. He did. His relationship with my son became something I never thought I would see. Still though, I found him being partial to his own sons in ways. Christmas shopping for example. I had to fight with him to put each present in the cart for my son. I believe my husband continued to work on that and did make progress. His relationship with my son grew. Ours did not. In March of 2005 my mother sold her house and moved in with us. Another big adjustment. At that time I experienced a relationship with my mother that I had never had before. I am grateful for that. In July of 2005 I suddenly became sick. I had foot drop in my right foot, I couldn’t stand on my right leg at all due to weakness. There was pain in my legs and feet that I couldn’t explain and I started to fall a lot. There was a feeling of nausea that ran through my entire body. It was debilitating and I was scared. It took months of going to doctors and finally a Neurologist to find out that I had peripheral neuropathy with no known cause. For myself I look to see a cause. Was it years of stress. Was it the large amounts of Ritalin I was prescribed for ADHD. Was it the long period of time when I became so defiant that I refused anything for myself that I could. The period of time when I refused to eat. I will never know. What I do know is that my body was failing me. I was scared and my husband was scared, he shut me out again. In December of 2005 my mother was diagnosed with bone cancer. She stayed at home with us until she passed away March 24, 2006. Cancer is a disease that you can see. You can see it in the faces of terminal patients, I know this. My husband could see and he helped me to take care of her. I was amazed at how good he was with her. Seeing my husband handle himself so well with my mother leads me to believe that maybe if he had more understanding of my illness, my invisible illness, he would have reacted differently to me. 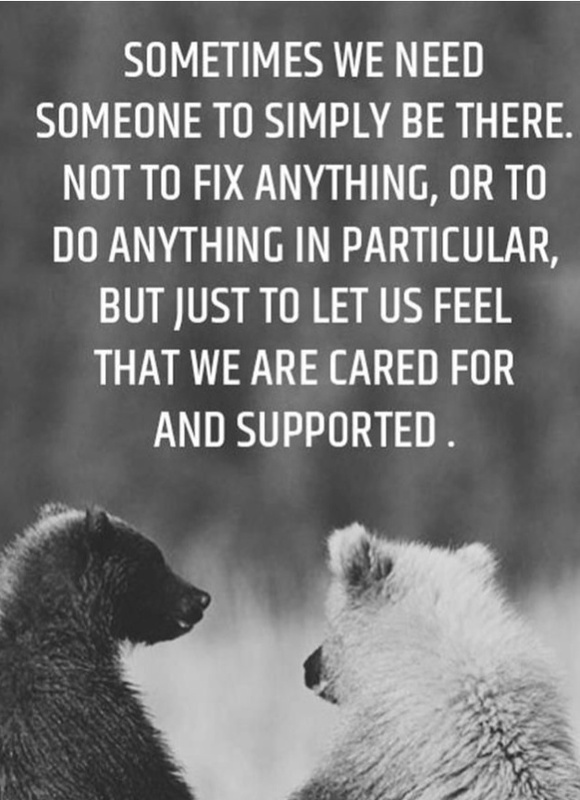 If you’d love to contribute on Mental health Friday, I’ld love to have you. My email address is: mykahani@yahoo.com . For more information, visit this post.